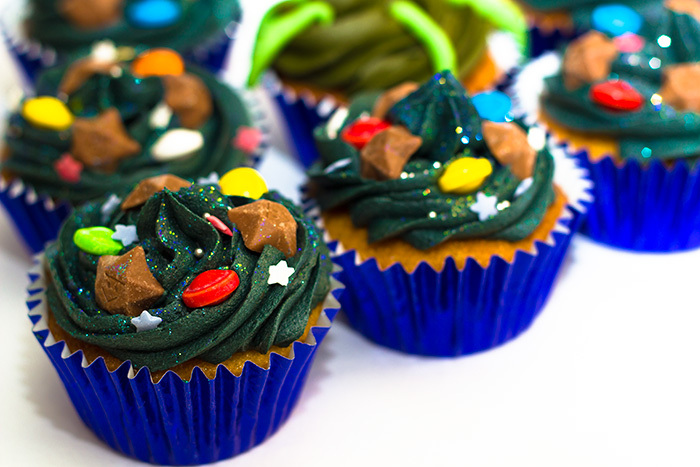 A deep space themed cupcakes with magic stars and flying saucers. And a handy hint on colouring chocolate frosting! A little while ago I mentioned a baking disaster but I forgot to share it with you. 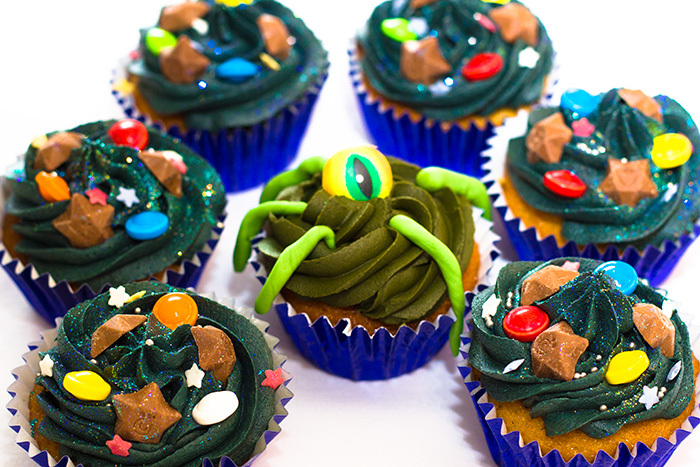 My most popular cupcake flavour is Jaffa Cake. I have had a lot of requests for them and I didn’t think making chocolate frosting a dark shade of black/blue would throw up any problems….wrong. I made the cakes and started on the frosting. I added the tiny amount of colouring like usual and it did nothing. I added a bit more, and still nothing. A dollop of deep blue colouring went in and made a start but nothing like what I wanted. So I added a bit more and it went green (I used this for the aliens!). The only thing I could do was to add black, and finally it became a colour that looked quite space like. 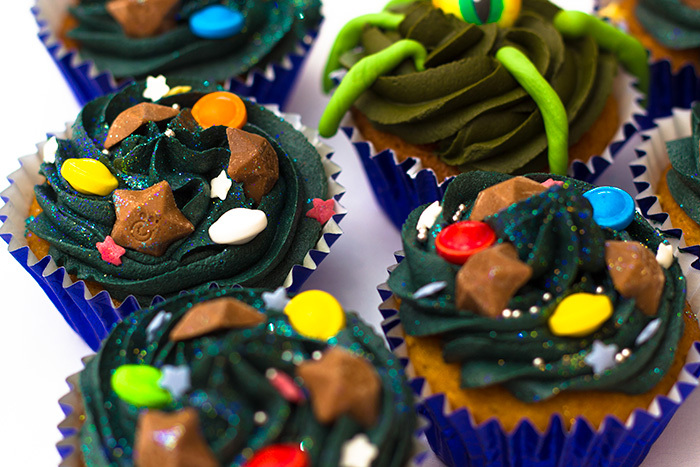 I decorated the cupcakes with Milky Way Magic Stars, edible Flying Saucers and Stars and lots of edible Rainbow Dust!! 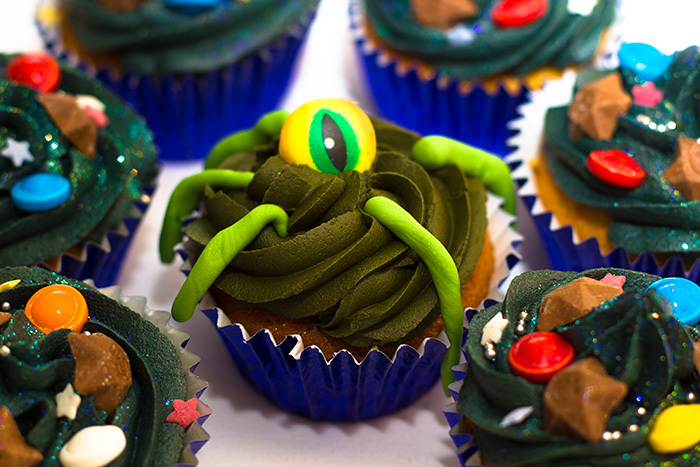 For the Aliens, I just used some rolled up green fondant as tentacles and an edible eye. 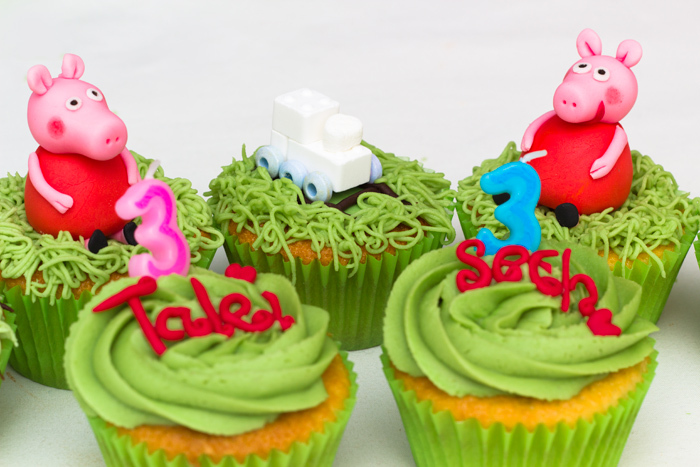 So they looked pretty good, but i was very cautious of taking cupcakes so full of food colouring to a children’s party. I decided to put a disclaimer on the box that said something like…. 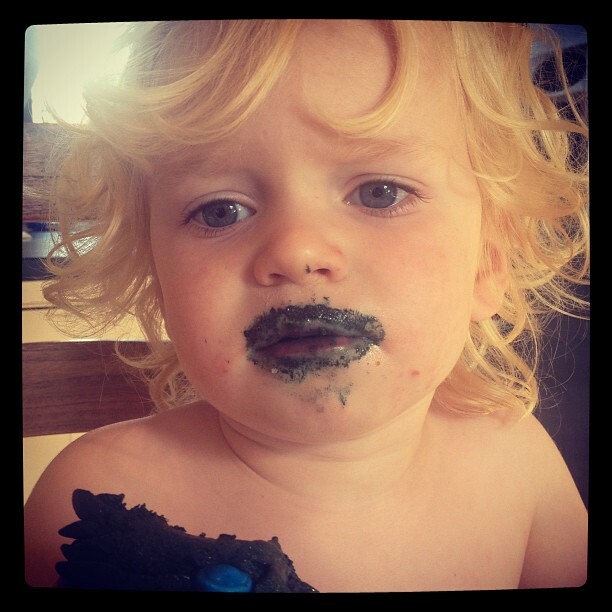 From this, I can warn you…..NEVER TRY TO CHANGE THE COLOUR OF CHOCOLATE FROSTING. JUST DON’T DO IT. Make a vanilla frosting instead and be safe in the knowledge you won’t turn everyone blue and high on E numbers. You forgot the warning about the green poo….! !